Owner of Evolution Consulting, which provides Qlik consulting services throughout Mexico. Author of "Learning QlikView Data Visualization" and "Mastering QlikView Data Visualization." Qlik Luminary since 2014. If you have the QlikView Personal Edition (PE), you can only open QlikView documents created locally on your own computer. So, if you are downloading and installing QlikView for the first time, or you don’t have a full QlikView license and are using the QlikView PE, you are going to get the following error when opening up the QlikView files (QVW) included with Learning QlikView Data Visualization. Click Abort, and perform the following steps before starting the exercises included in the book. Learning QlikView Data Visualization – Expected this week! After various QlikView books intended for QlikView developers, I’ve recently written a book that is aimed to help all those business users that suffer middle children syndrome. In almost every one of my customers, I’ve worked with a group of QlikView users that don’t want the responsabiity to write the scripts that extract and manipulate data, but aren’t spoiled enough to have each chart they need created instantly by a team of developers. Instead, they use existing data models to create their own analysis at the pace of changing business needs. Learning QlikView Data Visualization comes out this week and is intended to help this group of users. Back In March, Packt Publishing offered me the challenge to teach readers in a little over a hundred pages the basics of QlikView data visualization. The result is a fast-paced, no-nonsense book that explains by example. Rather than focus on each chart type and checkbox available in QlikView, I focus on how to best implement a set of common analytical techniques in QlikView. Author Karl PoverPosted on August 26, 2013 September 23, 2014 Categories Learning QlikView Data VisualizationTags analysis, book, data visualization, qlikviewLeave a comment on Learning QlikView Data Visualization – Expected this week! My name is Karl Pover and I would like to welcome you to my website. I’ve been a data discovery consultant since 2006 and the goal of this blog is to organize and share my thoughts, experiences and expectations within the realm of data discovery. I’m originally from the small town of Farley, Iowa and currently live in one of the largest cities in the world, Mexico City. This blog is my chance every couple weeks to take a break from the fast-paced city and ruminate over better practices and methods for a successful data discovery experience while reviewing different data discovery software and tools. Please consider that the data discovery tool I use most is QlikView, but I am open-minded. 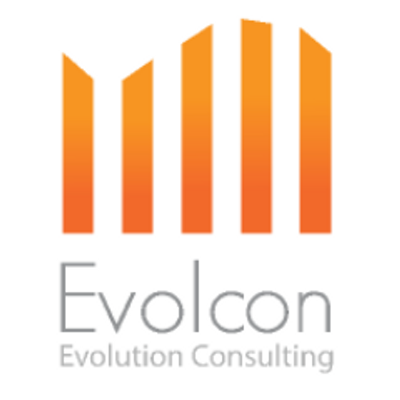 Last, but not least, if you require data discovery consulting services, please visit evolcon.com or e-mail me at karl.pover@evolcon.com. Author Karl PoverPosted on May 12, 2013 May 12, 2013 Categories GeneralLeave a comment on Welcome!